Welcome to another Becoming A Modern Man! 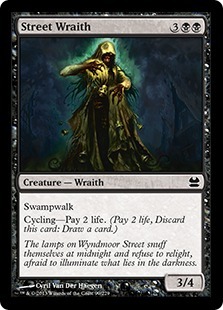 Death's Shadow is a card that has seen its stock rise in Modern a lot in recent times. 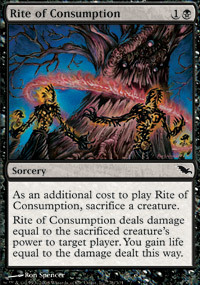 I remember some time ago it was a fringe combo card in decks that were running Angel's Grace and Phyrexian Unlife to go into a negative life total for the turn and then Fling or Rite of Consumption for the win. You can read Travis Woo's take on that deck if you are interested. 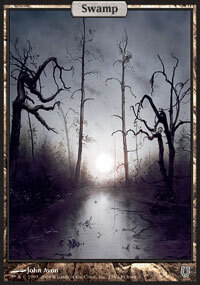 Death's Shadow has since become one of the most played cards in Modern and has appeared in various shells. 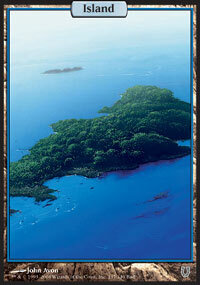 The most popular shell of the moment is Grixis Death's Shadow which is the deck I will be looking at in this article. I think I should start off by saying that Grixis Death's Shadow is not an easy deck to play. It plays quite a bit differently to most decks in the format, particularly with the Suicide element of the deck which forces you into a lot of tricky situations. The early turns with this deck are crucial and it is easy to accidentally give away the game by misplaying the early turns. Paolo Vitor Damo Da Rosa's Grixis Death's Shadow deck guide is a good resource for some top tips for playing the deck. One of the important things to remember is that although this is a Grixis deck it is not a Control deck. Beyond Stubborn Denial , which different lists play varying numbers of, we do not have counterspells. The deck is more like Jund, Abzan or Rock decks in that it uses hand disruption to deal with threats and then sticks its game ending creature(s) to look to finish the game. 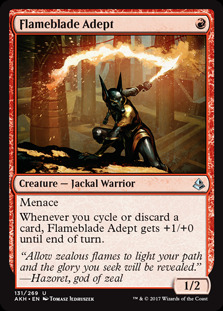 The deck's namesake and one of the hottest creatures in the current Modern metagame. Death's Shadow has a way of turning things on their head, as it is a creature that grows larger the less life you have. 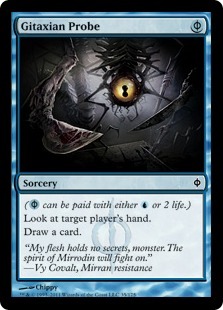 This means your opponent has to consider whether attacking you will make your Death's Shadow too big to deal with. It's complicated to play against and can quickly be made into a huge threat in this deck. Also, at 1-mana casting it leaves plenty of mana open for casting supporting spells. Though it is a one-drop you will not want to play Death's Shadow until you are under 13 life so it usually comes down on Turn 2 at the earliest. Before it drops you can use hand disruption to held protect it or draw into further threats or answers. The classic blue creature. 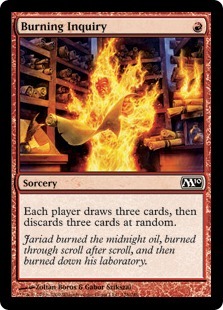 Being able to reuse your discard, draw, removal and other spells can be very valuable. 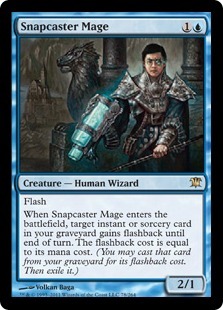 Snapcaster Mage also gives the deck an additional threat should it be required. Interestingly, PVDDR in his article discussed how this deck isn't the perfect shell for Snapcaster and considered cutting down to 3 copies of the card. Due to the low land count and spell setup of the deck, the value you get from Snapcaster Mage isn't as good as in other decks. Often you will be playing Snapcaster for 3 mana and reusing one of your one-mana spells. 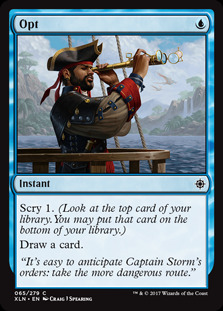 That still has utility but I think PVDDR is right that it isn't the best Snapcaster deck. The Delve creatures are your other top-end threats which you dump out pretty quickly and usually for just one-mana, like Death's Shadow . It is generally agreed that 4 of these is the optimal number. Tasigur and Angler can finish off a game pretty quickly with their heavy-hitting and Tasigur is particularly good in a long-game scenario. 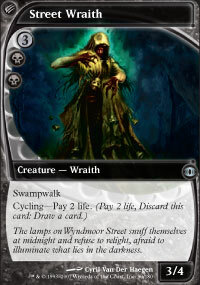 Street Wraith is a very useful card for the deck. It is helpful in pushing towards both of your top-end threats. 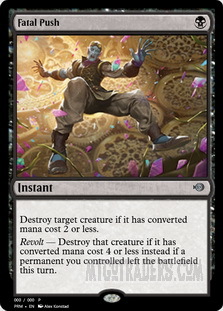 Losing 2 life to cycle grows your Death's Shadow and it also puts an extra card into your graveyard at no cost, which is useful for getting up to requisite number of cards to play your Dredge creatures. Wraith can also be cycled at instant speed as a combat trick with Death's Shadow . Finally, the most underrated part of Street Wraith's game is that is actually a fairly reasonably-sized creature in itself when it comes to the late game. I have had a few games where I am low on life and just need a beater or a blocker to keep me in the game and Wraith can perform that role if pushed. I was not originally running Liliana in the main deck but having played more with her I think she belongs in there. Liliana can be well protected by our disruption and removal and takes over the game. Very good against the mirror, Eldrazi Tron and other prominent decks. 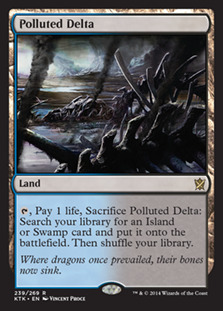 The premier removal card in the format. 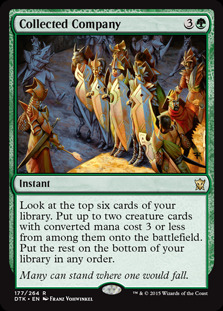 Push deals with the majority of the creatures in the format for just one-mana. A great way to deal with difficult creatures or clear the way for your threats. The classic hand disruption package that is extremely prevalent in the format at the moment. They both fulfil the same essential role but Thoughtseize is also a way of reducing your life total to grow your Death's Shadow . Hand disruption is one of your primary ways of protecting your threats and derailing your opponent's gameplan. Visions is still the best one-mana draw spell in the format. 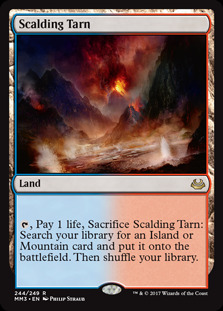 A draw and Scry 2 can help you sculpt your hand a great deal and find lands, threats, disruption or removal as required. Keeping one-land hands is also much more viable with a Visions in hand. A one-mana draw spell that goes a long way to helping you to cast early Dredge creatures. 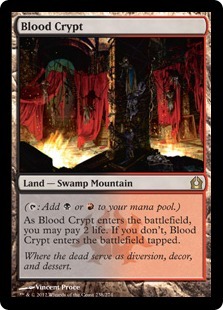 Three cards in the graveyard for just one-mana can easily lead to a Turn 2 Tasigur or similar. Stubborn Denial is a cool card in this deck. With your big threats usually only costing one-mana and having 4+ power generally Denial is a great way to protect your creatures. 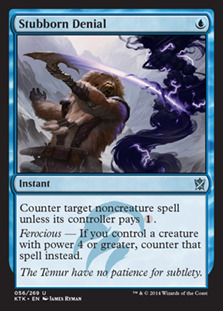 It also can catch opponent's unaware as a Force Spike if you don't happen to have Ferocious. I was originally playing more Denials but after reading Paolo's article I agree with him that it can be tricky to play with. 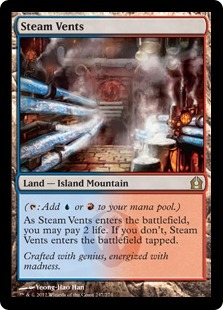 Keeping one-mana up for a counter can be difficult with the deck's low land count and often you have better things to be doing with your turn. It's still a solid card against some matchups but I think there are better proactive cards to be played. 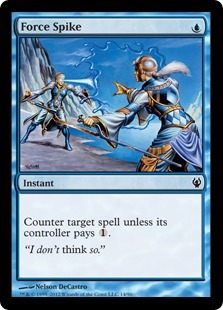 Denial is also the card that can trick you into thinking you are playing a Control deck, which are most certainly not. 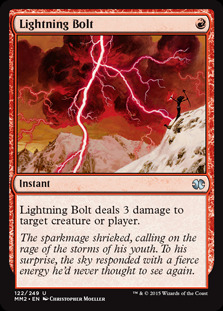 I have a one-of Lightning Bolt in my deck which I picked up from another decklist. This is a questionable option but I don't dislike it. 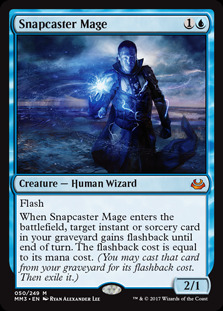 I miss having access to Snapcaster Mage + Lightning Bolt and it can be very useful in the mirror and other matchups. 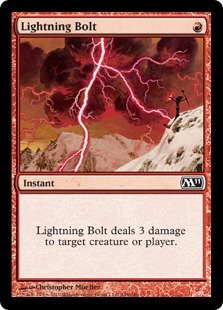 Bolt can help get rid of Planeswalkers and gives you an option to go to the dome. 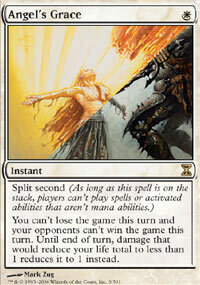 This is one of the negotiable slots in the deck and you would easily play Opt or something similar in this slot. 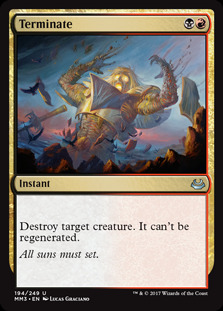 Terminate is a removal spell that covers a lot of the blind spots that Fatal Push has. Creatures over 5 converted mana cost are more prominent in the format thanks to Push and there are a lot of Eldrazi decks around which make having alternative removal spells useful. 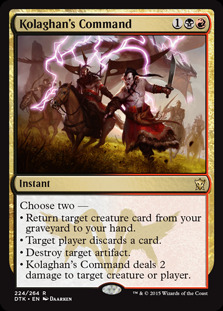 Kolaghan's Command is a powerful spell. It can be removal, discard, a Raise Dead or artifact destruction in varying combinations. The Raise Dead effect is particularly good with Death's Shadow , which tends to be even more difficult to deal with the second-time around. There isn't really anything exciting going on in the manabase. We are running a small 19 lands and the fetches and Ravnica duals are one of the main ways for us to lose life to grow our Death's Shadow . The manabase is otherwise pretty straightforward. 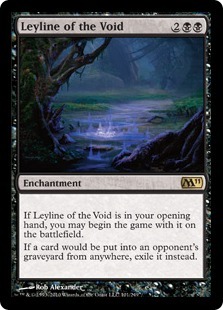 Leyline of the Void is very strong graveyard hate, particularly if you can get it out before the first turn of the game. 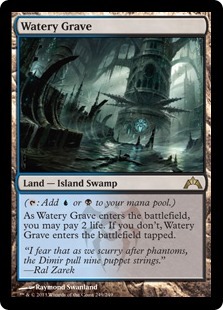 There are lots of graveyard shenanigans in the format at the moment - from Dredge to Storm to Snapcaster Mage s and some graveyard hate is essential. 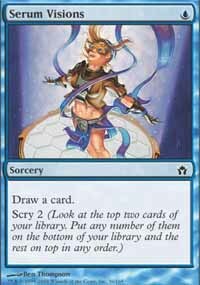 I don't know whether Leyline is the necessarily the best card for the job it is certainly effective. Our deck is all about big threats so going wide can be very effective against it. 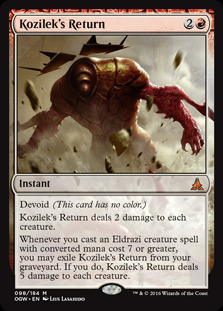 Kozilek's Return is a great, and instant-speed, answer to the decks that are looking to go wide or that are running low-toughness creatures or even just Lingering Souls . 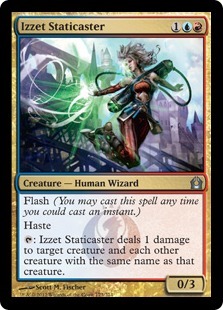 Izzet Staticaster fulfills a similar role in clearing out small creatures and tokens. 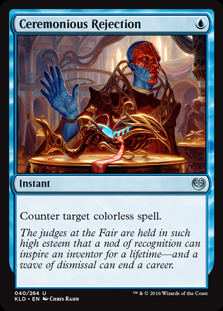 An extra Kolaghan's Command is in the sideboard primarily as artifact hate. 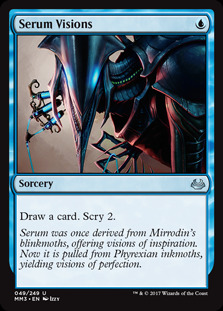 It's very good against Affinity and is also a way to destroy Chalice of the Void for 1 against the Tron/Eldrazi decks. Ceremonious Rejection , Disdainful Stroke and Stubborn Denial give us a countermagic package from the sideboard. Rejection is specifically for use against the Eldrazi and Tron decks. 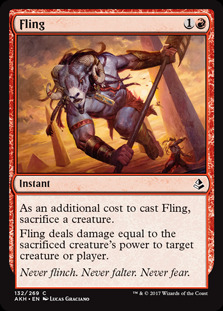 Disdainful Stroke is useful against any decks looking to go over the top or can even hit Delve creatures and such like. 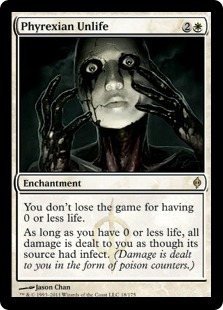 Denial catches a lot of other things and can be just better than removal against creature-light or spell heavy decks. 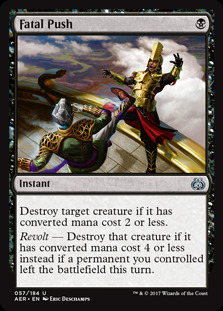 Collective Brutality is a very powerful card which has uses against all types of decks. Our first matchup is against Collected Company combo. This match can be difficult as we have to be wary of the Devoted Druid /Vizier of Remedies combo and they can go wide which can be a problem. 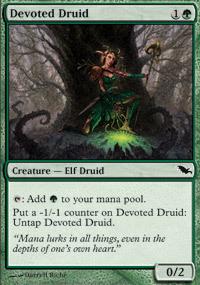 However, the good thing for us is that Devoted Druid and Vizier aren't great aggressive threats and the combo focus can give us time to set up some power plays. You do need to be careful with your life total though as a Collected Company dropping two additional creatures can suddenly cause you to be dead. The next two matches are against Bogles. The first is the more competitive of the matches and the third game really came down to the wire. The second game was a lot easier for us but I recorded as an interesting example of how state-based effects make Death's Shadow a funny creature to deal with in combat. In this match we take on Infect. 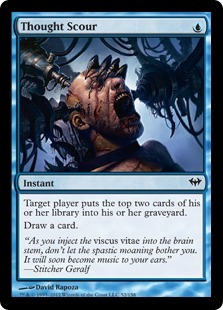 Infect isn't a deck that has been seeing a lot of play since the ban of Gitaxian Probe and the arrival of Fatal Push making it less powerful that it once was. This match seems very favourable. We have lots of good removal and we don't have to worry about conserving our life total as our opponent will not be dealing damage to us. We also have a lot of nice cards out of the sideboard to help us in this matchup, such as Izzet Staticaster and (Kozliek's Return). Our next matchup is against Eldrazi Tron. This matchup was pretty rough. They have a powerful mana engine and some pretty terrifying creatures. 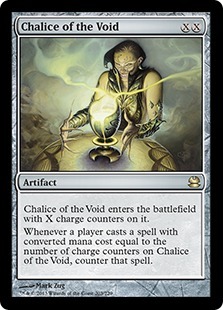 They also have Chalice of the Void which if set at 1 can really lock us out of the game as we have very limited answers to it once it hits the board. 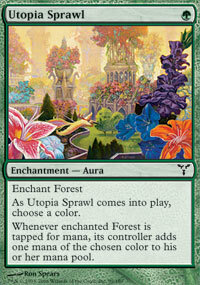 The manabase of our deck means we don't really have any ways in which to prevent Tron unfortunately. This matchup is against a deck that has emerged recently based around Hollow One. 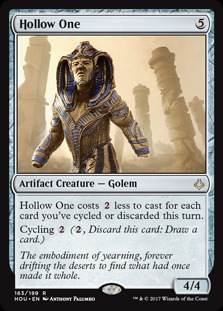 The idea is to discard multiple cards a turn with Faithless Looting and Burning Inquiry to cast Hollow One for free. This is backed up with Flameblade Adept and Vengevine for additional speedy beats. 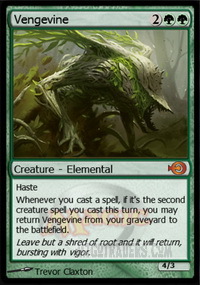 The deck seems like a good matchup for us because our creatures are just bigger than Hollow One and Vengevine most of the time. The deck has some nice tricks up its sleeve, such as Become Immense which can kill out of nowhere, but generally I would say this seems very favourable. Our final matchup is against a Mono-Green Ramp deck. 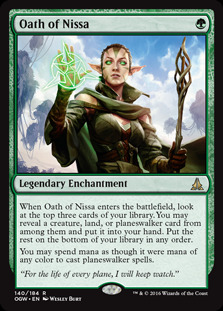 There are quite a lot of these Oath of Nissa /Utopia Sprawl ramp decks that have very big top-end threats. They take quite a lot of setup though which we can take advantage of with our big threats. Stubborn Denial and Disdainful Stroke are useful from the sideboard against these types of deck to counter Planeswalkers/ramp and their bigger spells. Grixis Death's Shadow is a complex deck and one that takes a lot of skill to pilot well. It is definitely not a deck I would recommend for beginners to the format. Personally, I have had my ups and downs with the decks. Sometimes I have ran well and played well enough with the deck and other times little mistakes have tripped me up. That said it has been enjoyable getting to grips with the deck and if you like complex, decision-heavy decks then Grixis Death's Shadow is the deck for you. I think the best tip I can give if you are looking to play this deck is that you are not a Control deck. You may be a Grixis deck, which is classically Control colours, but this deck is not Control. 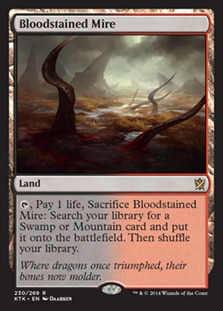 It runs a lot more like the old Jund decks using hand disruption early and then sticking big threats. Once you get into that mentality and don't spend time sitting back holding up Stubborn Denial or Snapcaster Mage s I think you will be much more successful.